- Mark Twain on Indians. Giriraj Kishor, a Vishwa Hindu Parishad (VHP) leader, can be considered a classic example to demonstrate the thought behind Mark Twain’s quote. Kishor had rather (in)famously said, "Cow is considered more sacred than human beings in the Puranas(Hindu scriptures)". The occasion was a tragic one when five Dalits -- who were carrying dead cows -- were lynched by a vigilante mob in front of a police station (Dulina, Jhajjar in Haryana, October 2002) with many senior government officials turning mute spectators. The spectacle-type killing was followed by another grotesque drama when police personnel, who by their inaction had connived with the crime, promptly sent the dead cows for examination, and filed cases against the dead Dalits over cow 'slaughter'. Inadvertently or so, Adityanath, the monk-turned-politician, the present Chief Minister of Uttar Pradesh, demonstrated that he rather personifies this zeitgeist. His complete silence over the violence in Bulandshahr, which involved the killing of a courageous police officer and the death of a young man, at the behest of violence allegedly instigated by Hindutva fanatics, and his tremendous show of concern over the cow carcasses found in the field and his instructions to police officials to nab the culprits just demonstrated this. While his silence over the killing of a police officer by a violent mob received all round criticism, his office issued a second statement that mentioned the death of Subodh Kumar Singh and the promise of financial aid to his family. According to unconfirmed sources, the gap between the two statements was a few hours? Why did it take so much time to condemn mob violence and the killing of a policeman on duty? As a monk, Adityanath was free to give precedence to a cow vis-a-vis a human being or practice what his faith dictated, but as a Chief Minister, he is bound to follow constitutional mandate. Did he forget this basic precept or it was a case of selective amnesia? Or, is it because Subodh Kumar Singh, the slain police officer, was the same official who had investigated the mob lynching of Akhlaq (October 2015) and, despite facing tremendous political pressure, had lodged cases against a few Hindutva activists? Or, did it have to do with the fact that his no-nonsense attitude toward crime had caused lot of heartburn in ruling party circles and had prompted them to even write a letter to the local Bharatiya Janata Party (BJP) MP demanding action against him for 'interfering in Hindu functions'. Cartoonist Aravind Tegginamath has depicted the state of affairs in UP. Titled 'Republic of UP' , his cartoon shows how the state has become a republic 'of, by and for the vigilantes' which rather beautifully captures the state of affairs there. We remember that when the ban on cow slaughter was being proposed and implemented -- which had received momentum after the ascent of BJP at the Centre and many states -- two valid questions were raised. One related to its negative impact on the intake of cheap proteins by a vast majority of people – Dalits, adivasis, Muslims, Christians etc – for whom beef happened to be the cheapest source of protein, as it costs nearly one-third of mutton or gosht and forms an important part of their traditional food. It was then underlined that the overall per capita consumption of meat in India was among the lowest in the world. According to a Food and Agriculture Organisation of the United Nations report in 2007, India logged in last in a total of 177 countries. We know that in their frenzy to implement the ban, no alternate plan was envisaged by the powers that be to provide cheap proteins to the people nor had they given any thought to it. The second question was related to the challenge of upkeep of bullocks and buffaloes and cows that had lost their utility to the farmer. It was said that in a country which is still far away from meeting the basic hunger of people, this burden would fall on farmers, further impoverishing them. Reports coming in from different parts of the country corroborate that the sudden spurt in the number of abandoned cows and its progeny since the past two-three years could be directly related to the banning of cow slaughter, as also the inability of cattle-owners to feed them. According to a rough estimate, expenses incurred in maintaining one cow come to around Rs 90-100 per day. Also, this leads to diversion of scarce resources, such as fodder, feed, water and even labour resources. Earlier, when such stringent provisions were not in place, a farmer could sell his unproductive animal to a butcher and would get Rs 5,000-10,000. Today, this is not possible. The issue of stray cows causing damage to crops and leading to accidents not only in villages but cities as well, is becoming a cause of concern across the country. According to a conservative estimate, there are around five million stray cows in India. Such cows not only destroy fields but block traffic as well and prove to be menace at times. What is less discussed is how such stray cows involved in traffic accidents also lead to loss of human life. Authorities in Punjab had announced on April 17 this year that stray cows involved in traffic accidents have killed 300 people in the last 30 months. And these are figures related to only one state. A third issue which has acquired more visibility after banning of cow slaughter in many states, concerns the sudden spurt in cow-related violence and the rise of vigilante groups. The killing of a police officer by a mob in Bulandshahr is the latest in the series. 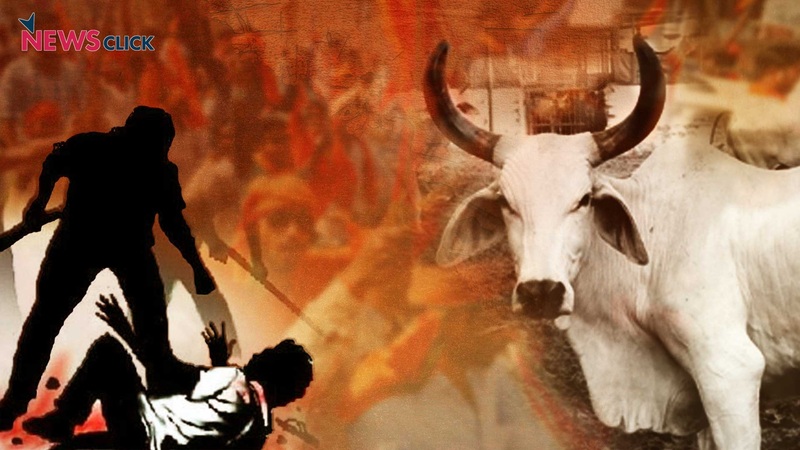 IndiaSpend, a data analysis website, had done a study of cow-related violence and had shown how such deaths had seen quantum jump since the ascent of Hindutva forces at the Centre. From a figure of zero deaths in 2012 and 2013, including 2014, since the year 2015, such deaths have remained around 10 per year. Remember, while opening the legal route to ban killing of the bovine, and using state power to do that, it was also envisaged by the ruling dispensation led by the BJP that activities of the cow protector groups -- owning ideological or organisational allegiance to them -- would also be used to popularise the issue. For instance, a representative of one such cow protection network, called the Bharatiya Gau Raksha Dal (“India Cow Protection Group”), an umbrella organisation registered in 2012, told Human Rights Watch that the network was affiliated with about 50 groups across the country and that their 10,000 volunteers had a presence in nearly every state. Claims apart, what is the actual situation on the ground? Are these groups really concerned about cow welfare or are they basically anti-social elements who have been given legitimacy by the ruling dispensation and have sort of outsourced violence to them. A sting operation done by India Today magazine, focussing on two large organised vigilante groups in Uttar Pradesh and Haryana, had demonstrated their modus operandi and their connivance with the police. Explaining their 'raid' the leader of the vigilantes said they blocked road, used intimidation and threatened and engaged in violence to seize the cattle from trucks and distribute those among them 'then and there'. A little bit of preparation is involved, as the 'vigilantes are trained to execute near-fatal attacks on their potential targets' and 'inflict internal injuries', fracture their bones and muscles and legs but avoid hitting on the head as it can lead to their arrest. It was not for nothing that 'none of the members of his squad faced even a single police case across six states so far'. They may advertise themselves as 'saviour of cows' but "..[o]n India Today's tape, the leader of cow vigilantes admitted his gangs were highway robbers of sacred animals. ‘These vigilantes are self-proclaimed gau rakshaks but in actual fact they are hooligans’. According to him there are as many as 200 cow vigilante groups in the Gujarat who have ‘become a law and order problem because of their aggression and the way they take law into their hands’ and government is going to take strong action against them. The Chief Secretary was even categorical in admitting that lower level police personnel are hand in glove with these vigilantes. And this vigilante violence is not limited to fringe groups. Dalits who were found with dead cows or cow meat deserved to be beaten, ... “Jo Dalit gaye ke maas ko le ja raha tha, jo uski pitai hui hai, woh bohut hi achhi hui hai [Those Dalits who were taking the cow, the cow meat, those who were beaten, it was a very good thing to happen],” Singh said in a video uploaded on Facebook. While there was much uproar over the BJP leader’s open threats to Dalits but neither the state BJP leadership nor its central leadership deemed it necessary to take any action against him. It was in the same period that an article in one of the mouthpieces of Hindutva Supremacist forces had similarly rationalised the thrashing of Dalits by repeating a similar logic used by late Giriraj Kishor, once again demonstrating that the VHP leader might be dead, but his worldview lives!